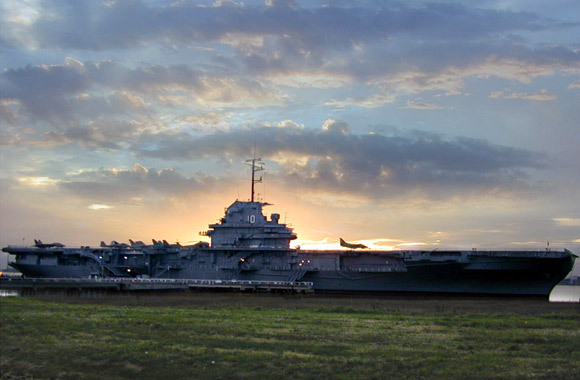 Second of the Essex class carriers, Yorktown replaced her namesake, lost at the Battle of Midway in June 1942. The Essex carriers formed the core of the fast carrier task forces that struck Japanese forces in the Pacific with devastating results. Yorktown's planes inflicted heavy losses on the enemy at Truk and in the Marianas; the carrier supported American troops in the Philippines, at Iwo Jima, and at Okinawa. 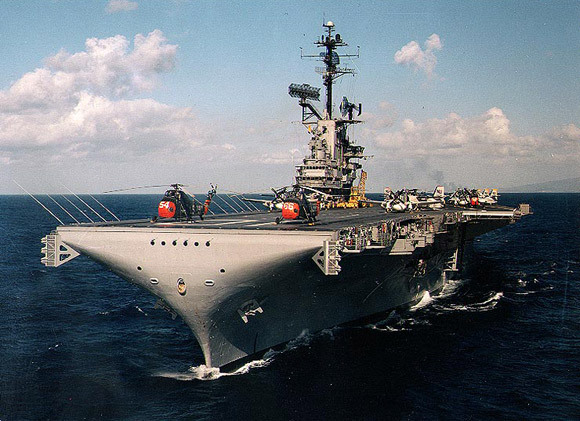 Yorktown received 11 battle stars for her World War II service and was awarded the Presidential Unit Citation. For service off Vietnam she was awarded four battle stars.